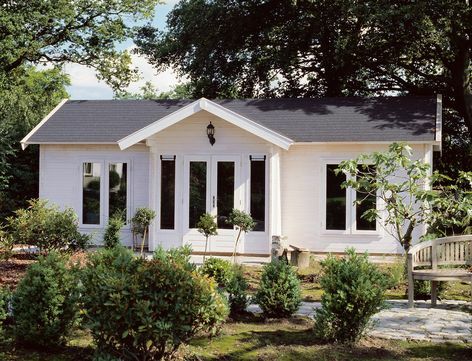 A pavilion style cabin with four rooms and a porch with double glazing as standard. 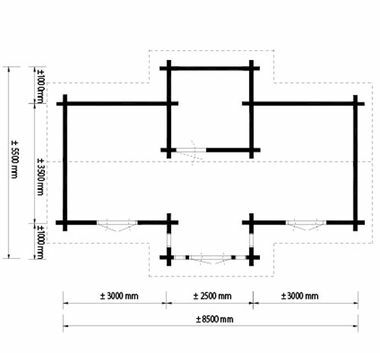 Size approximately 5.5 x 8.5m in 44mm log thickness. The standard package includes 2 casement windows PE44, 1 double door PE45H, 4 windows PJ07 and 1 single door DD01. Measurements are taken to the outside faces of the walls.